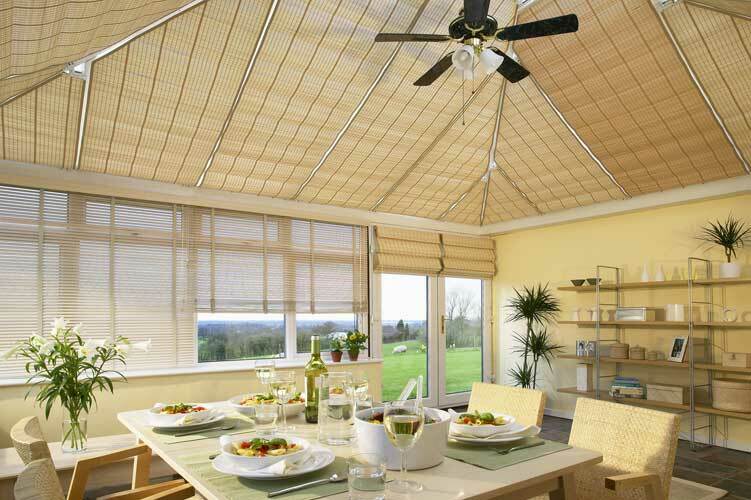 We offer an exclusive range of fabrics including Solar Plus a highly thermally efficient material that reflects the sun’s heat during the day and insulates during the night. Solar Plus is designed to be the most thermally efficient fabric on the market, it is neither laminated nor woven which means is not susceptible to curling or fraying. Solar Plus has been especially developed so that whilst maintaining its high efficiency it now offers a subtle grey reverse side rather that the old fashioned silver “tin foil” look. 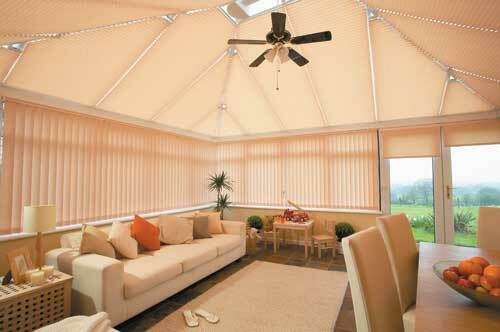 Our patented bracket system allows for maximum adjustment of the blinds ensuring a superior fit. 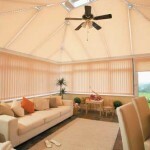 Roof Roller blinds are most suitable for shaped conservatory roofs. 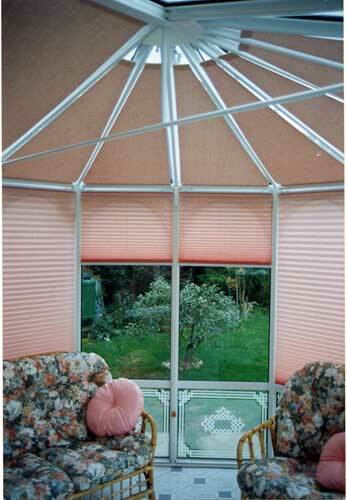 Their clean neat lines, ease of operation and solar protection make them an impressive and effective addition to any conservatory. 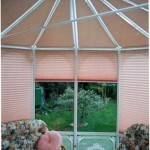 We also offer an optional pelmet section to conceal the blind when it is fully retracted.